UK has much to offer for your adventures on a horseback! Zara’s Planet currently have 5 Horse Riding Holidays UK. 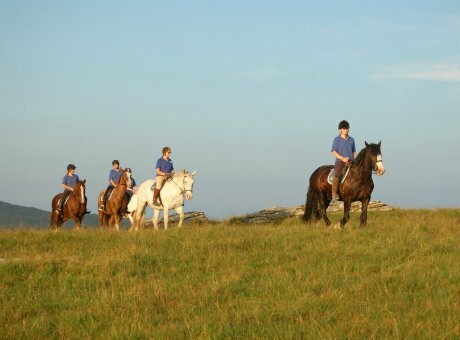 Jamaica Inn provides a brilliant horse riding holiday in a very beautiful and quite secluded part of the UK. You are based in a stunning architect revamped cottage in the Bodmin moor which feels right off the beaten track. Your friendly hosts, Jen and Paul, have their small custom built riding centre based here and the place is immaculate. 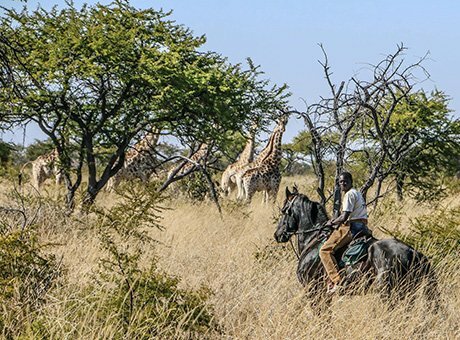 There are several itineraries but you’ll ride out daily on the locally bred ponies who have tons of stamina for up to 6 hours across picturesque countryside. You will follow pirate & smugglers trails off the beaten track, visit local pubs along the way including dinner at the famous Jamaica Inn, oh and not forgetting a good old fashioned Cornish Cream tea. Yum. This Cattle Herding holiday is such a unique experience and the only one of it’s kind currently in the UK. Philip & Mandi keep beef cows and sheep, plus a few ponies, which graze the farm and commons of Dartmoor where they have thousands of acres to roam over. Many towns or parishes have their own part of the moor called a common; many farms in the parish have common grazing rights attached to the land. 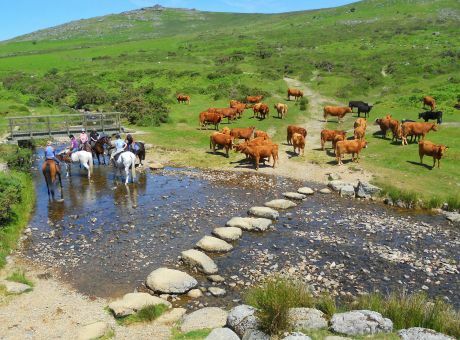 Meldon Farm has rights to graze cattle, sheep and ponies. 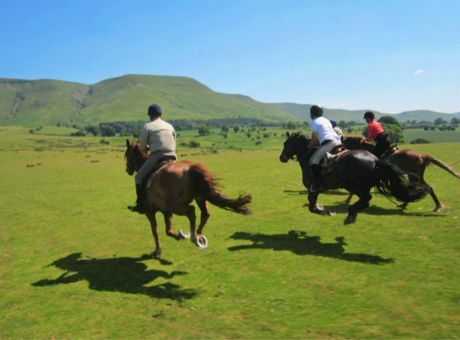 This Trans Wales Trail holiday is a wonderful destination, offering world class trail horse riding holidays on mountain friendly Welsh Cobs over the Brecon Beacons and beyond. This is a family business, run by husband and wife team Paul & Emily, who work with the horses and guide the trips, alongside Pauls Mum & Dad, Maria & Michael Turner, who look after the running of the farmhouse. We believe the wonderful Wilds of Exmoor Holiday in Exmoor National Park to be one of the best places to ride a horse in England. Wilds of Exmoor offers miles of beautiful wild heather moorland, hidden valleys with secret streams, mysterious woodland, all waiting for you to explore on this fun and friendly riding holiday. This cosy 17th farmhouse tucked away at the edge of the moor is run in joint partnership by Stephany, Amanda, Liz and Megan and offers comfy accommodation with good home cooking. Your wonderful hosts and unique destination, will help you forget the stresses and strains of modern day life, while you breathe the fresh country air and admire the spectacular scenery from the back of fit, friendly, well-schooled horses. 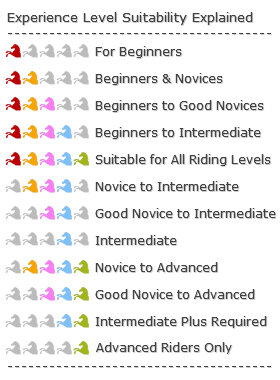 All of our Horse Riding Holidays UK have been personally vetted by Zara and Jill (as have all our Horse Riding Holidays UK). 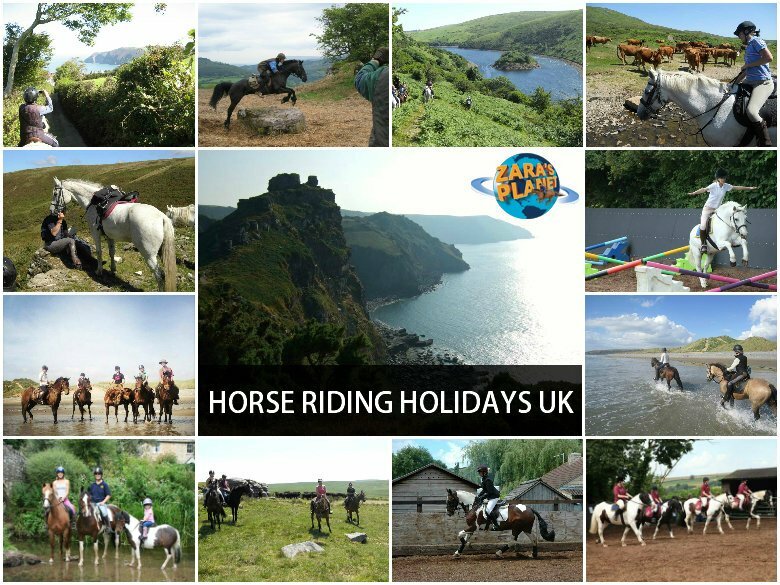 We do this to ensure that the quality of the horse riding, accommodation, food and scenery combine to provide only the best Horse Riding Holidays in the UK for our clients. Don’t forget our Horse Riding Holidays GUARANTEE. 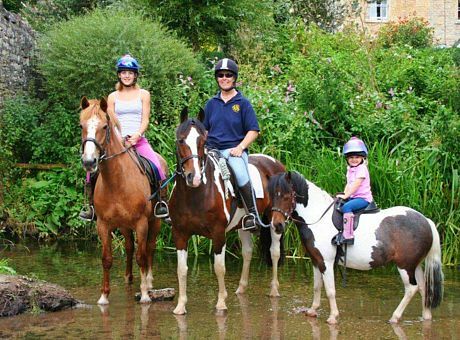 You won’t find any of our Horse Riding Holidays in the UK at a lower price through any other source… and if you do we will refund the difference.